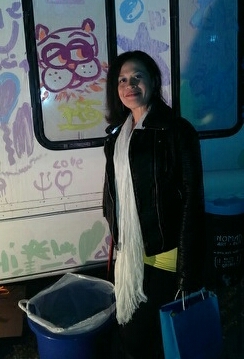 Visiting the NOMAD art bus during the Florida Bookstore Day after party. The non-profit organization visits disenfranchised neighborhoods to provide creative activities otherwise nonexistent for residents. Please visit their Page and support art for all! Posted on November 20, 2014 by Von SimeonPosted in Art, Cosmology, DIY, Health and Wellness, Humor, Inspiration, Just Because, Pet Life, Photography, Politics, Pop CultureTagged Florida Bookstore Day, graffiti artist, NOMAD Art Bus.